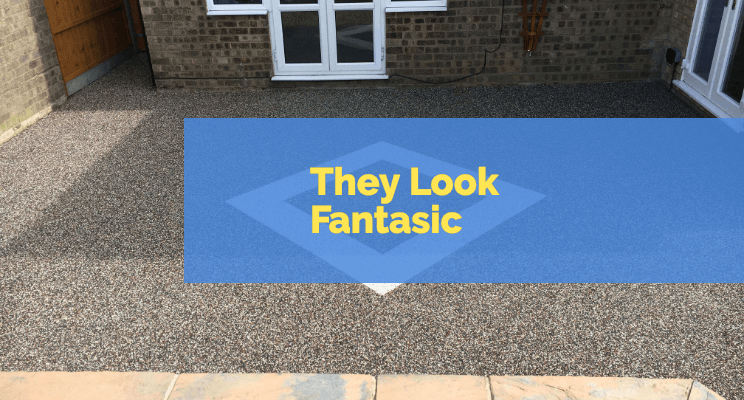 When researching for a resin driveway, it is advisable that you look up for a company that has an excellent reputation, and track record of installing resin bound driveways. Furthermore, you should choose a resin surfacing that is right for you and your property. 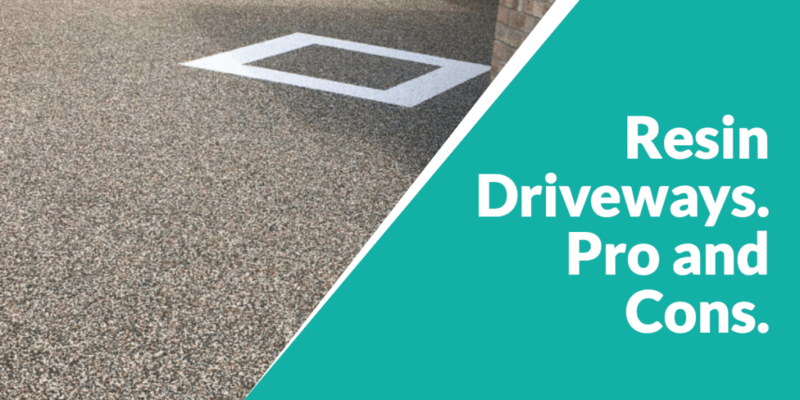 We believe that resin driveways came with some pros and cons. 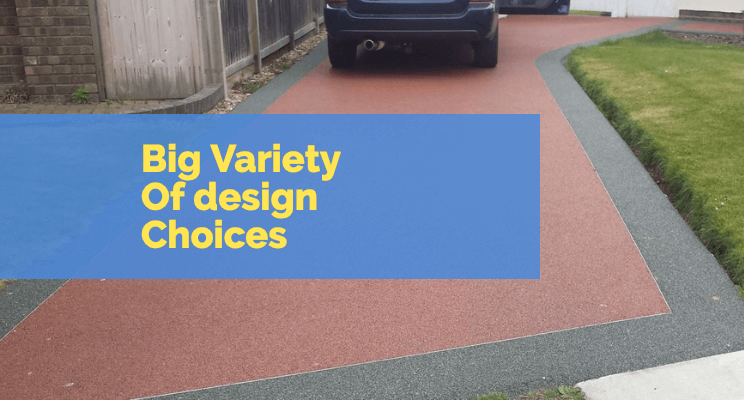 To help you make the best decision, here is a breakdown of resin driveways pros and cons. The cost of installing a new resin driveway is reasonable and a fantastic investment. This applies especially to new imprint driveways. they are also suitable to almost any home. 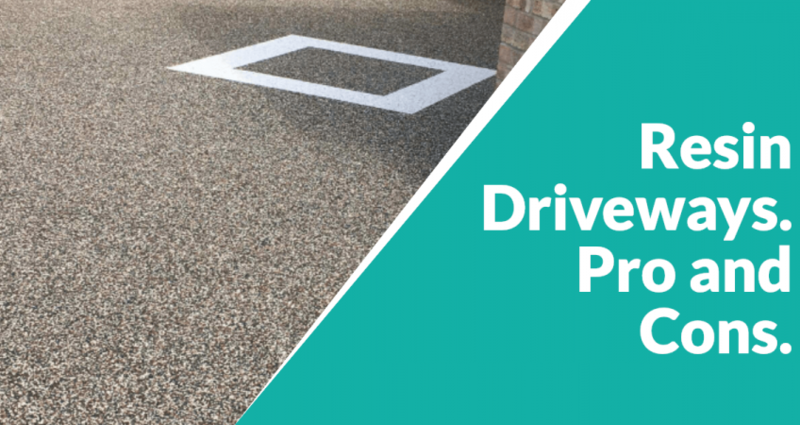 This means you can get a new long-lasting driveway at an affordable price (See Resin Bound driveways Cost). Resin bound driveways can be installed using an existing concrete or asphalt. Here concrete acts as a sub-base, this saves a lot of time. If elaborate preparation is not necessary, this process can be completed within a short time. This depends on the weather conditions of the specified place. Therefore why not install a resin driveway instead of a Tarmac driveway which will take less time to install? As long as the resin surface is kept clean, there will be no weed growth. Just a low maintenance is required to tidy up the driveway surface. This will not only save you pounds on the cost of clearing weeds but also your precious time. Be assured that resin installation is perfect for a low maintenance driveway. All you have to do is to wash it so often and brush away the debris that can encourage weed growth. As long as the driveway is installed correctly, there should be no drainage issues. The technology on which these driveways are built allows water to penetrate through them. The reason behind this is that resin has a good permeable surface. Additionally, water does not drain off to the sides as there is rare standing water. The person who installs them will ensure that the underneath has a porous surface. Even if there are slopes nearby, drainage issues will be rare. Most of the companies that offer these services often drill into existing macadam surfaces. This saves the cost of starting a new installation project. These types of driveways are common driveways of choice which stand out from the rest of the crowd. They are accompanied by an impressive selection of colors. They enhance the visual appearance of any home. In fact, resin driveway can unbelievably transform a surrounding to a stunning contrast. Since almost all colour combinations are available, this makes it possible to have a drive look-alike with its surrounding. The material also provides a perfect finish as well as holding the stones together. This provides gravelly appearance without cracking. Resin driveways give a striking visual appearance. As they are made up of multiple mixtures of ingredients like natural aggregate, stones, and recycled glass, they last for longer. Water does not damage these driveways since these materials are penetrative. Resin gives tough and also durable surface that does not wear out quickly. Resin bound surfaces are popularly used for high usage vehicle centers. This is good evidence of how durable these driveways are. In fact, resin bound driveways have been known to last longer than traditional materials which were used for bonding surfaces such as tarmac and block paving. This is a very resilient paving system in that it has a very high life expectancy depending on the specification in installations and the design you choose. Be assured that resin driveway will last for more than 15 years. They are constructed in such a way that final weight will not damage the surfaces. This happens as far as these driveways are well installed. For this reason, most garages and runways for both vehicles and pedestrians are modernised in this way. Resin driveways can be created in different patterns, patterns and also shapes. This means that it can be used in a variety of ways to create a really unique aesthetic for your home. You can combine different materials for different kinds of effects. For example, a contractor can mix it with several components of aggregates to bring unique features and personalised finish. Stones particles are not washed away during wet weather. They can withstand the harsh weather conditions, perfect for UK weather. Resin paving can be a prevention tool for floods, by absorbing water rather than directing it to a drainage system. This will prevent overflow of rivers as well as surface water run-off. You don’t need to start from scratch. You can install resin gravel on your existing driveway. This will not only quicken the process of installing but also significantly lowers the costs. Heat island is commonly found in towns and big cities because of the amount of land covered by asphalt paving. However, these problems can be solved by installing by installing resin paving as they allow the underneath soil to breathe. This ultimately lowers the temperature of such areas. The resin is a manufactured using natural and recycled materials. This makes it a sustainable choice that is friendly to the environment. They are made from naturally occurring aggregate or marble. This clearly shows how advantageous installing resin driveways are to the situation. However, another plus point is that the gravel would still appear smart and tidy even after it is driven on often. Mostly these jobs are preserved for expert contractors. Therefore, drastically this removes the possibility of having shoddy work handled by irresponsible contractors. You need to check your contractor’s website to make sure they have a good reputation, and they have met the required credentials. If you are trying to sell a home having an amazing driveway will help, it is a bit going to be more desirable to the potential buyer. It will make a fantastic impression when they walk up to the home. When it came to resin bound contactors, there are no formal regulations. This may be a problem as there are numerous inexperienced installers and unlicensed paving companies everywhere. Therefore be warned of such installers who might end up providing shoddy work and poor services. Therefore it is good to look for professionals who provide popular services and are accredited to provide such services, Creative Paving are a company you can trust. If you fail to choose your color keenly, you will end up having samples which fade quickly. More often it happens when exposed to direct sunlight. So just ensure that the colors are completely stabilised. We can recommend the best colours for your property. Moss and weeds can make the driveway look scruffy. We can offer the best advice to keep the weeds and moss to a minimum. This occurs in light-colored concrete. Tire marks and oil stains from vehicles may be the main the primary cause here. While they are used using a pressure washer, again we can offer advice of the best cleaning methods. Overall, there are numerous benefits as well as a few minor drawbacks that may have varying importance to different people. All that you need is to weigh them up against one another.